We’ve noticed that some users have configured their bidding preferences without adding funds to their account. It’s easy to add funds from the dashboard, just input the amount in the popup & we’ll credit your balance once the funds clear on the account, we check the account several times a day so you should not have to wait more than a few hours to see your balance increased. All funds are held in a segregated account. 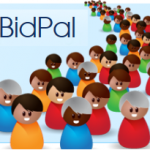 Note that BidPal will only lend up to 5% of your bid capital.